Designed for serious sailors who demand quality, precision and total integration, this high-precision glass-bonded 10-inch large format instrument creates a beautiful “glass mast” display with superior readability day and night. 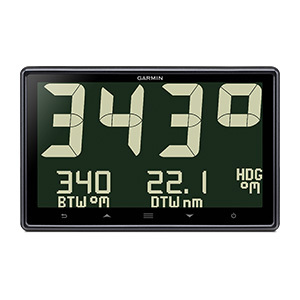 It allows seamless sharing of sailing data between Garmin devices and is controlled from a compatible GNX keypad. It is easy to set up, calibrate and use. Enjoy superior readability in all conditions, day and night¹. Options for white or color 2.75-inch (70 mm) digits — the largest in class — allow you to adjust for most preferred visibility setting for any lighting condition. 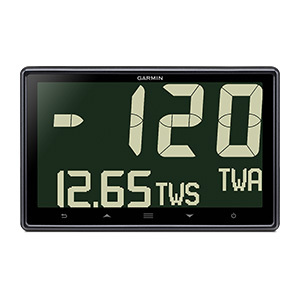 The GNX 130 provides a flush mount glass mast look, and its glass-bonded high-contrast monochrome LCD display avoids fogging. Low power consumption of 0.36 W daylight with no backlight and 0.4 W nighttime with mid-level backlight preserves your batteries. Fully customizable user profiles allow you to configure the screen layout to your preferred setting. 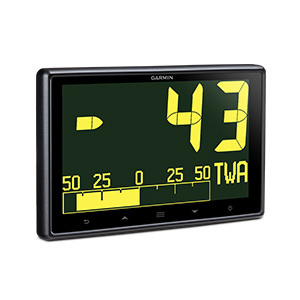 Five display configurations are available: single, dual and triple function, plus Gauge and Graph modes, to display data for more than 50 important marine parameters for wind, sea and vessel conditions. Display data from Expedition software on the instrument using a Actisence NGT-1 N2K USB or GND 10 (not required). Adrena and SmartSkipper information can also be displayed using the GND 10. ¹Color backlight is not visible in daylight. Unique high-contrast hybrid display features the largest digits in class. Easy-to-read digits are 2.75-inches (70 mm) tall. Adjust to your preference of white or color digits for excellent clarity in direct sunlight, at dusk, or at night. The dot-matrix section can show additional details and/or graphical information. Fully customizable user profiles allow you to choose from 5 available display configurations for sailboat or powerboat user-profiles: single, dual and triple function, plus Gauge and Graph mode to display wind, depth and speed data or customize the pages to display the marine and boat data that is most important to you. Perfect for sailors who want to sail for long intervals without having to run a motor or generator to charge batteries. Uses only 0.36 W daytime usage requiring no backlight and just 0.4 W with a mid-level backlight setting at night. 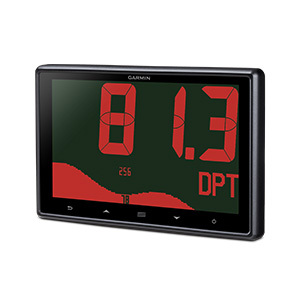 Monitor more than 50 marine and boat parameters, including GPS speed, water depth and temperature, wind direction and wind speed from the NMEA 2000 bus. Flush mount to provide a sleek, beautiful appearance on your boat.